The following Terms and Conditions apply to your use of the Emirates Team New Zealand Shop website (“Site”) and catalogue and your purchase of Emirates Team New Zealand branded products. Please read them carefully prior to using the Emirates Team New Zealand Shop as the use of the services signifies acceptance of these terms and conditions. 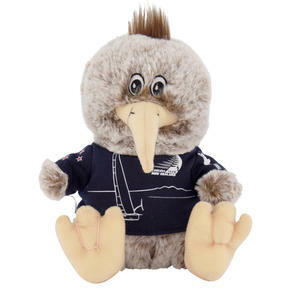 Use of this Site constitutes an Agreement between you and Emirates Team New Zealand Shop. This Agreement, which consists of the Terms and Conditions set forth herein, shall be construed in accordance with the laws of New Zealand, without regard to any conflict of law provisions. Emirates Team New Zealand Shop reserves the right to modify the Terms and Conditions that apply to your use of this site and the online catalogue at any time. By using this site and the online catalogue following any such change, you agree to adhere to and be bound by the terms as modified. 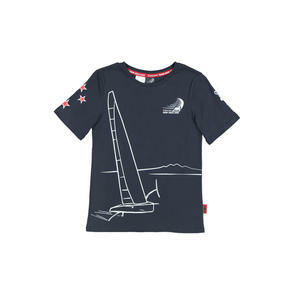 This agreement is effective unless and until terminated by either you or Emirates Team New Zealand Shop. 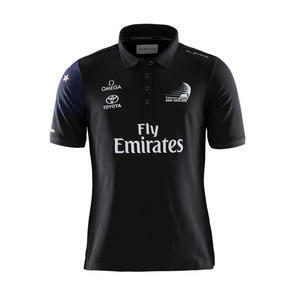 You may terminate this Agreement at any time by Emirates Team New Zealand Shop by email or mail. Emirates Team New Zealand Shop may also terminate this Agreement at any time and may do so immediately without notice, and accordingly deny you access to the Site if, in Emirates Team New Zealand Shop’s sole discretion, you fail to comply with any term or provision of this Agreement. Upon any termination of this agreement by either you or Emirates Team New Zealand Shop, you must promptly destroy all materials downloaded or otherwise obtained from this Site, as well as all copies of such materials, whether made under the terms of this Agreement or otherwise. You agree that you may only purchase from this site if you are over 16 as whilst we have children's products available on the site they are only for purchase by, or with the involvement of, an adult. Emirates Team New Zealand Shop’s site provides you with a limited, non-exclusive and non-transferable licence to use the online catalogue and all of products and services therein, solely for personal, non-commercial (other than for the purchase of merchandise from our online catalogue) use. No commercial use of any kind is permitted including, but not limited to collection of any content, downloading or copying any information, data mining or data extraction. No right, title or interest in any materials or software is transferred to you as a result of your use of the Site or the online catalogue. All content (apart from third party provided content and trademarks which are owned by their respective owners) is owned by Sportfolio Limited, including but not limited to layouts, certain logos, price-lists, buttons, and is protected by copyright. It may not be reproduced in any format without the express written approval of Sportfolio Limited. 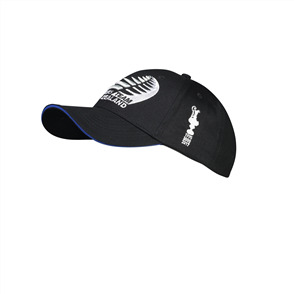 The trademarks and/or logos of Team New Zealand Limited appearing on this website are internationally registered trademarks in a number of countries throughout the world and as such are protected by trademark and copyright laws. Any reproduction thereof, without the authorisation of Team New Zealand Limited, constitutes an infringement of such intellectual property rights and may result in legal action. 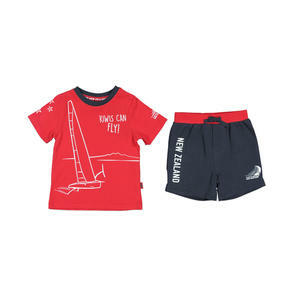 Emirates Team New Zealand Shop collects customer information online for marketing and promotional purposes as a way of enhancing your shopping experience. This data includes customer information gathered through processing sales transactions and in response to customer surveys, subscription to newsletters and social media etc. Emirates Team New Zealand Shop respects your privacy and has instituted policies intended to ensure that your personal information is handled in a safe and responsible manner. Other than to Team New Zealand Limited or Sportfolio Limited, Emirates Team New Zealand Shop does not sell or give out email addresses to anyone. 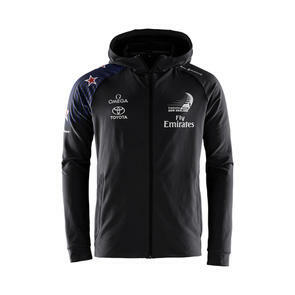 All information we receive via email or obtained in connection with your use of this Site shall be held by Emirates Team New Zealand Shop on trust for Team New Zealand Limited. Submission of this information shall constitute an assignment to Team New Zealand of all worldwide rights, in all copyrights and other intellectual properties associated with the information. Emirates Team New Zealand Shop and/or Team New Zealand Limited will not be limited in any way in its use, commercial or otherwise, of any such information submitted and will be under no obligation (other than to the extent required under applicable laws) (1) to maintain the information in confidence; (2) to pay to user any compensation for any information; or (3) to respond to any user. You agree that information you submit to the Site will not contain any libellous or otherwise unlawful, abusive or obscene material. Please remember that you are solely responsible for the content of any information you provide to Emirates Team New Zealand Shop. You also agree that Emirates Team New Zealand Shop and/or Team New Zealand Limited may use and or disclose information about your demographics and use of the Site in any manner that does not reveal your identity. 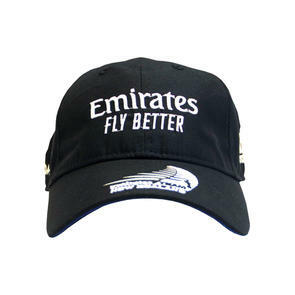 By participating in any sweepstakes, contests, promotions, and/or requesting promotional information or product updates, you agree that Emirates Team New Zealand Shop may use information about you for marketing and promotional purposes. By using Emirates Team New Zealand Shop website and Online Catalogue you agree to defend, indemnify and hold Emirates Team New Zealand Shop, and/or Team New Zealand Limited, and Sportfolio Limited harmless from any and all claims, damages, costs and expenses, including attorneys’ fees, arising from or related to your use of the Site, your account information and the Online Catalogue and you hereby waive (to the fullest extent permitted by the applicable laws) any claim you may have against Team New Zealand Limited or Sport in respect of any loss or damage you may suffer as a result of your use of this site. Every effort has been made to portray the colours of our products that appear on the Site and in the Online Catalogue as accurately as possible. However, because the actual colours you see depend on the monitor you are using, Emirates Team New Zealand Shop cannot guarantee that your monitor’s display of any colour will be completely accurate. 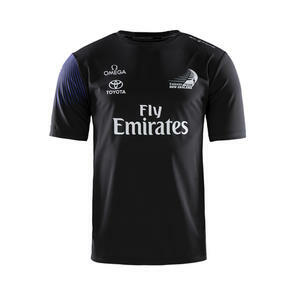 Emirates Team New Zealand Shop reserves the right, in its sole discretion and without any obligation, to modify or correct any error or omissions in any portion of this website and Online Catalogue. This Site and all of the materials on or referenced by the site are provided on an "as is" basis, without warranties of any type and Emirates Team New Zealand Shop expressly disclaims any and all warranties, express or implied, including without limitation warranties of merchantability and fitness for a particular purpose, with respect to any materials and products. In no event shall Emirates Team New Zealand Shop and/or Team New Zealand Limited or Sportfolio Limited be liable for any direct, indirect, incidental, punitive, or consequential damages of any kind whatsoever with respect to the use of this site or products purchased through the on-line catalogue. By your use of this Site, you agree that you are using this site solely at your own risk. We welcome your communications to us by email. We read every message that comes to us. We also try to respond to all messages we receive. By contacting us electronically, you consent to us and/or Team a contacting you electronically in any form (i.e. by email or by a post on your account page on URL) and you agree that any electronic communication by us satisfies any legal requirement for communication to be in writing. We will save certain messages and only keep email addresses on file for promotional and marketing purposes. We may edit, remove or terminate your account at any time and refuse to supply you if you are in breach of any term or condition of this agreement or any applicable laws. 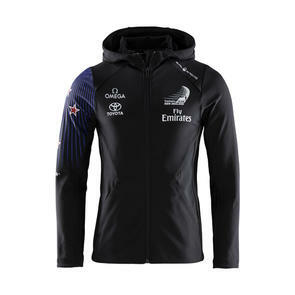 The website URL is licensed by Team New Zealand Limited and independently operated as Emirates Team New Zealand Shop by Sportfolio Limited, 12a Jack Conway Avenue, Manukau, Auckland, New Zealand 2104.